LinkedIn has refreshed its mobile presence today with the launch of redesigned apps for iPhone and Android, plus a brand new HTML5 mobile website. The worklife-focused social network says mobile use of LinkedIn is increasing at a rate of 400% year-on-year and the company has expanded its mobile development team in response. 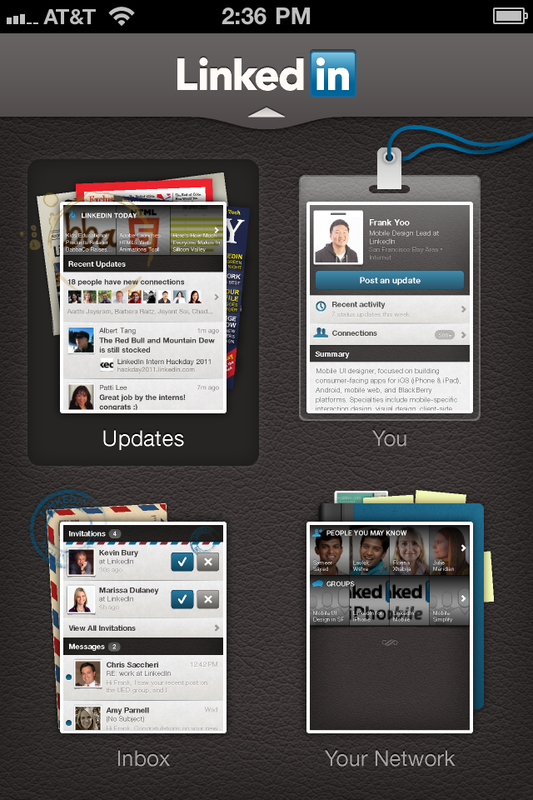 As such, the new apps provide a newly optimised experience for the fastest-growing part of the service. The iPhone and Android apps have been reorganised around four core areas. Updates from your network; your inbox; your profile information, and information about your network are all accessible via slick, highly visual interface. The Groups feature is also now available for the first time in the mobile app, with access the list of groups you’re a member of, discussions, and the ability to start new discussions or engage with existing ones. LinkedIn is emphasising speed, claiming a 2-10 times increase depending on the feature accessed. The apps have also been designed to bring up the most used feature, the update stream, first. Meanwhile, LinkedIn’s new HTML5 mobile website isn’t quite as fully featured as the native apps, but works on a wider range of devices via the browser. 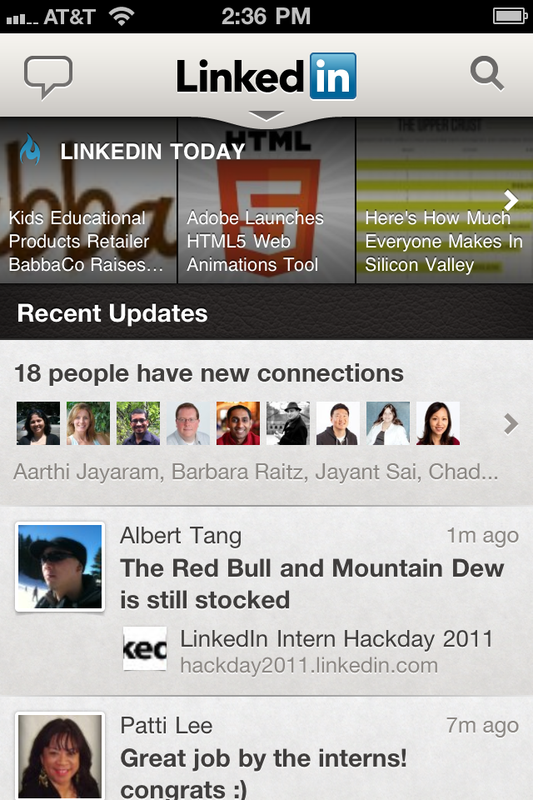 It provides access the Updates stream; your profile; your network, and your inbox, and is accessible from today at http://touch.linkedin.com. The iPhone and Android apps are updated today, too. 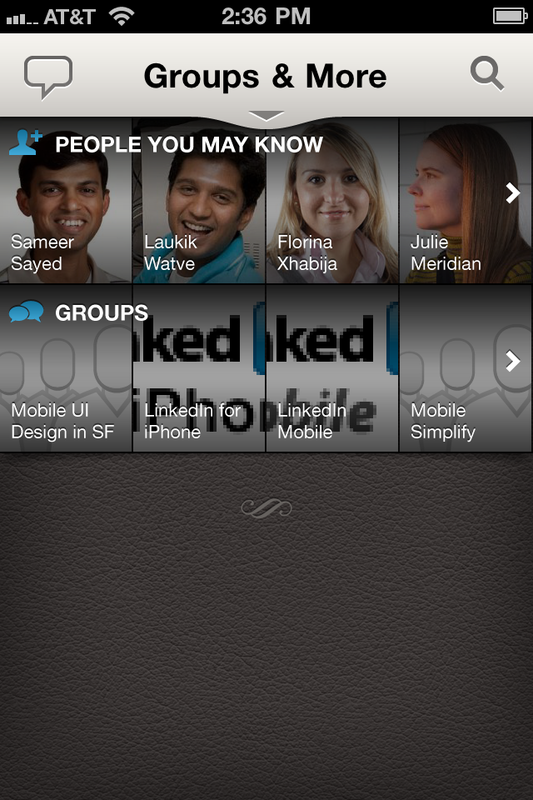 LinkedIn says that the company will be adding additional features to its mobile apps over the coming months.